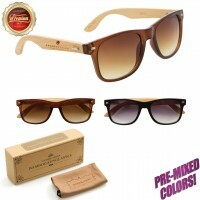 Imprinted Earth Wood Sunglasses with your personal brand, logo or message! These fantastic hand-sanded, premium bamboo sunglasses feature a 100% recycled front frame with a round lens shape and stunning flash mirror coatings! Don’t wait, order yours before they’re gone! All printing is done in the U.S.A., allowing for quick turn-around times, and all artwork is free of charge! We have a team of talented graphic artists ready to assist you, designing your very own logo or personal message too! If you have questions, don't hesitate to contact us! 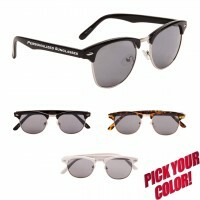 Below is an illustration of available print area for Imprinted Earth Wood Sunglasses. 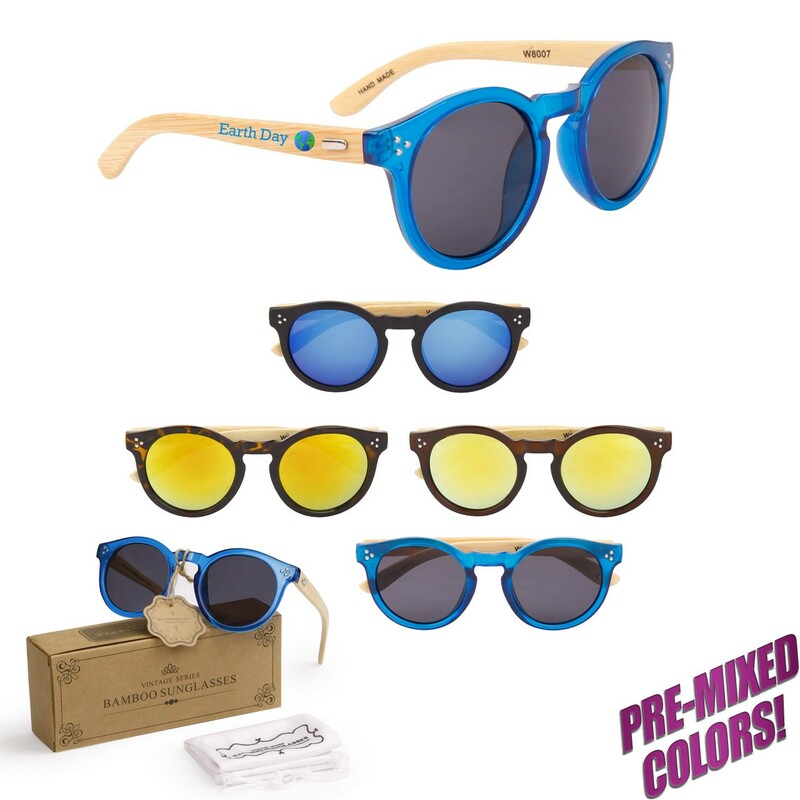 Assorted colors included in Imprinted Earth Wood Sunglasses WP8007. Sold in 12 piece units, shown below is an estimated quantity of frame colors included.